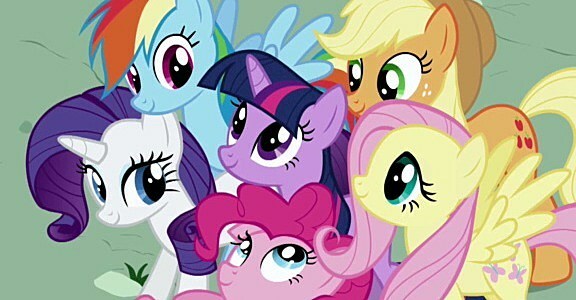 The world may just have gotten its head around the existence of Bronies, but following the successful revival of My Little Pony, the next ironic/totally unironic-gender-appropriation-of-a-nostalgic-toy-brand is already being dreamt up by Hasbro and its television subsidiary, the Hub. Care Bears fans, are you ready for... "Belly-Bros? "Next month sees the debut of Care Bears: Welcome to Care-a-Lot, a show described in PR sent to Cartoon Brew as "a modernized, CGI-animated version of the classic animated cartoon" that sees "everyone's favorite bears and their iconic Belly Badges... transformed with today's technology into a series that kids and families can enjoy together." Yes, the two may both be created using computers, but that's hardly "the same re-imagined CG animation" in both shows (If you're wondering what's happening in the Care Bears image, by the way, Grumpy Bear is unhappy because Tenderheart Bear would rather show off his mad rhyming "skillz" than eat the cereal that Grumpy had made for him). In case you're wondering, "Belly-Bros" is a term offered by the Hub as a potential name for the legions of male fans who'll enjoy this new Care Bears series as much as they do Friendship is Magic. If you're not feeling it, however, they're also suggesting "Care-Dudes," which sounds more like the way that William S. Preston would describe someone who works in an assisted living facility. Care Bears: Welcome to Care-a-Lot premieres June 2 at 8 a.m. on the Hub. We can only hope that it'll feature a Care Bear Stare showdown every week.